The LDM brand was created to represent all the bikers out there who want something different from the norm. Something that stands out on the street. Which is exactly what we deliver in all of our motorcycle gloves - with a pair for every season and a fast-growing range of designs. Exclusive to LDMotorcycles.co.uk. 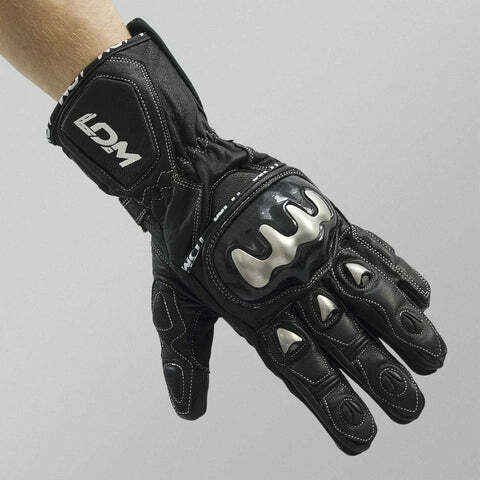 LDM motorbike gloves are uniquely designed by our own team of bikers who imagine, test, and complete every style. Motorbike gloves shouldn't be boring or uncomfortable which is why we set out to bring bikers protection for their hands that you can't get anywhere else, at prices that can't be matched for quality. Quality and safety are at the forefront of everything we do, from the materials we select down to the stitching methods. Our range of gloves doesn't just look awesome they also provide everything a modern day biker needs. Including comfort. It's not just our gloves that are unique. At LDM most things we do from getting inspiration to designing ideas is out of the ordinary. We're real bikers and we live among other real bikers. So we look around us to see what bikers want from their gloves, then we go and design. In the modern days of social media we know how important it is to own your personality out the on street so we've created gloves that suit your riding style. Being dynamic is what we're all about. 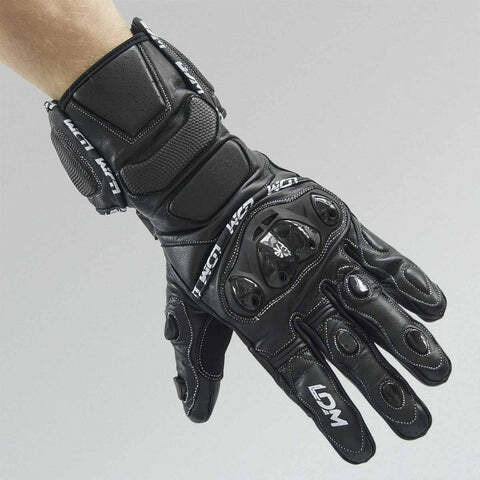 Staying close to new trends in both rider clothing and fashion means we can be flexible and keep you ahead of the trend with motorbike gloves that stand out. Bringing together the 3 things us bikers look for in new gloves, price, protection, and style, is no easy task. 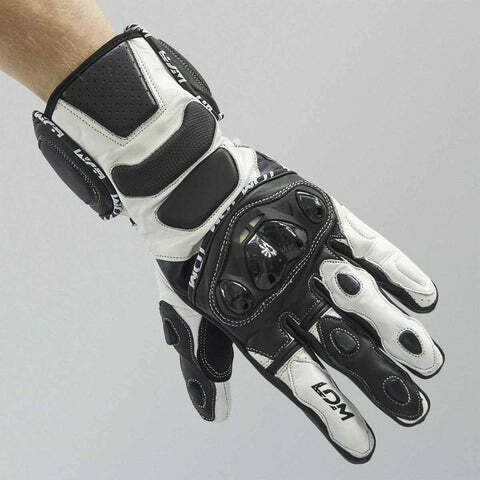 But with every pair of LDM motorcycles gloves we focus on hitting all three. 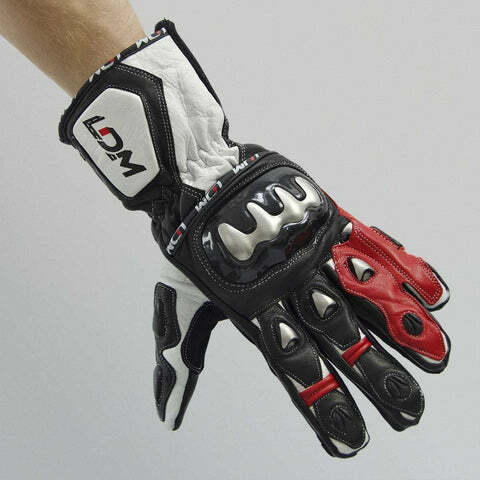 LDM gloves are supplied directly from our manufacturers, no middle-men or large corporations. Which means our gloves stay affordably priced even with their higher-end features. Hands are important. We get that. Which is why our gloves are always constructed to high-quality standards to ensure they're durable enough to outlast the competition. We don't make bad looking gloves. 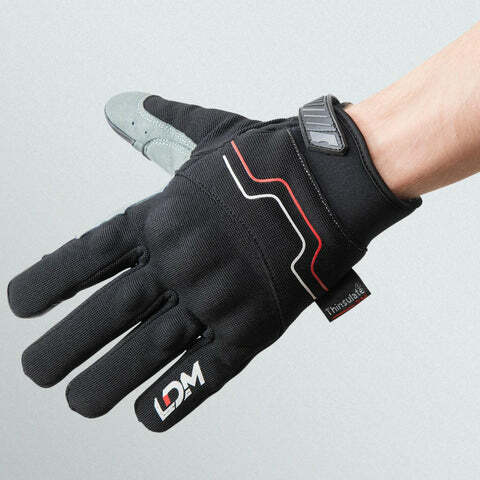 All our gloves are styled to suit the type of riders that wear LDM. 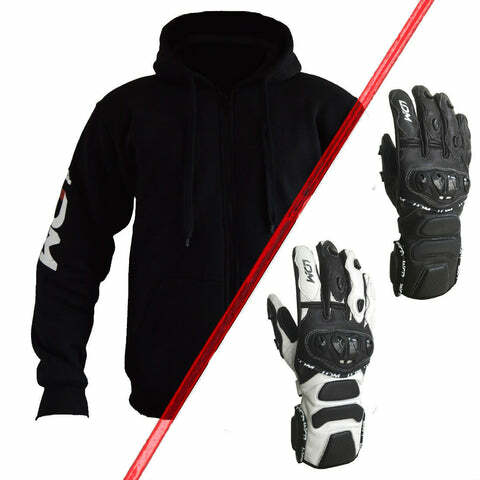 Our range of gloves is designed to compliment our other clothing options from hoodies to jeans. 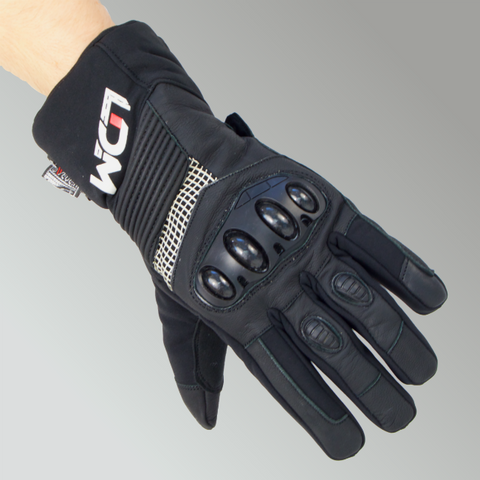 Getting the right fit for your new gloves is possibly the most important part of buying motorbike gloves. Proper sizing leads to a comfortable, natural fit that will keep you in full control of your bike and levers. As all our gloves are designed in-house we use slightly different sizing, like most other brands. Which is why we always advise you check the LDM glove sizing chart on each product page before you select your size and make an order. Another thing to consider when selecting your size is the material of the gloves. There will be large differences in the inside fit, flexibility and 'broken-in' sizes across textile, leather and hybrid gloves. If you've chosen to go for a leather pair then as always stick to the size that suits your hand measurements as they relate to our size chart. However, when you first try on your new leather gloves you might notice they are slightly tighter than expected. That's because leather gloves should be built that way to allow for wearing in. As you wear the gloves more the leather, being a natural material, will stretch and form to the contours of your hands making for maximum comfort. Try not to go too large with a leather glove as otherwise after the break-in period you'll be left with a lot of space around your hand and fingers leading to poor control of your levers. 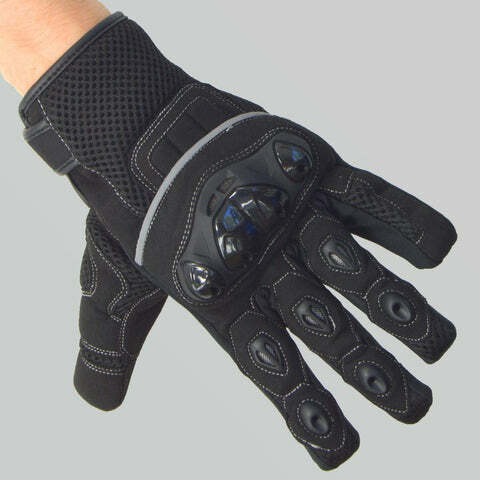 Textile and hybrid motorcycle gloves are a different story. As textiles are man-made materials, they're built not to stretch and because of that do offer a more durable glove. But that also means if your new textile gloves are too tight then nothing will change over a period so it's worth returning them for the next size up. When it comes to getting the right size we always recommend you take measurements of your hands rather than just going with your usual size. There can be a lot of difference in measurements used by different brands. Using a material measuring tape, wrap the tape around your hand just behind the knuckle line. Make sure that the tape is kept taught but not tight and take the measurement of your hand now. No two hands are the same, so always measure both hands and use the larger measurement to select your size of gloves.